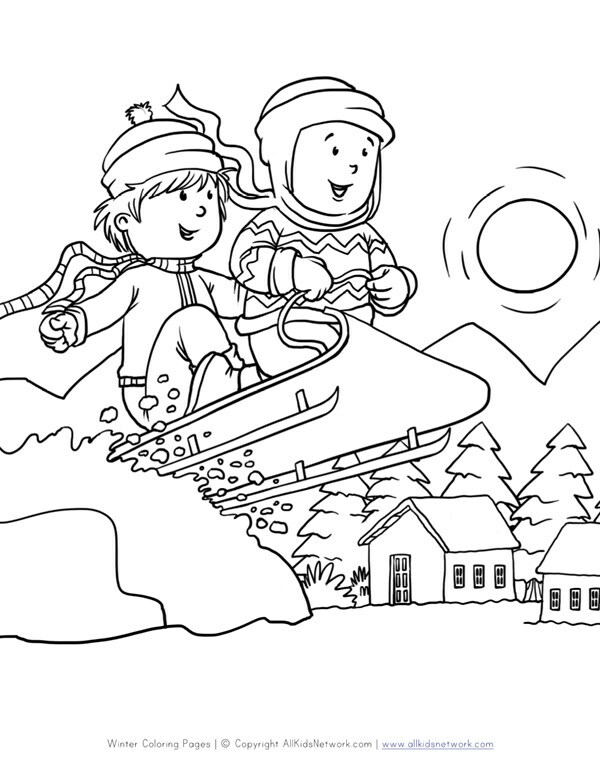 Kids will love coloring this picture of kids sledding in winter. 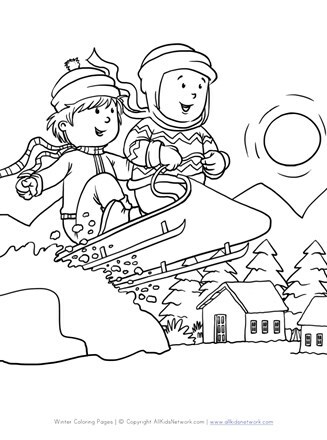 View and print this original winter sledding coloring page for free and let your kids have a fun time coloring during the winter season. Check out the rest of our winter coloring pages.